Have you ever been to Khao Sok? If not and you are visiting Khao Lak, then we strongly suggest making a trip there. Khao Sok is one of the most beautiful places in Southern Thailand – the rainforest is reportedly older than the Amazon. That’s pretty impressive, isn’t it? On a typical day tour you will be blown away as you drive into Khao Sok National Park and are greeted by the lush green jungle, especially at this time of year just after rainy season when all the plants are a vivid green colour. Last week we had an interesting tour to the National Park with a family from Denmark. The parents and 3 kids came from Nakornsithammarat where they were staying on holiday. We met them at the Elephant Camp where they had the chance to ride the elephants around the jungle. 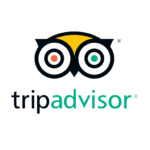 This was their first time in Thailand and their first time elephant trekking; Khao Sok is definitely the best place for your first elephant trek. Next we went onto Cheow Lan Lake, otherwise known as Khao Sok Lake, where we met our longtail and travelled across the water to the raft house where we were to stay that night. These floating bamboo huts are no average lake accommodation; the rooms have ensuite facilities, are decorated beautifully and the location is wonderful. At the raft house we spent some time relaxing before dinner. The kids swam, played on the kayaks and we even tried a little bit of fishing. Then we had dinner before a good nights sleep in the silence of Khao Sok Lake. The next morning we woke up at 5.30 for a sunrise safari. We took the longtail boat out into the lake while the mist was still settled around the mountains, a truly magical sight. I was really excited because we saw 3 Gibbons in the wild on this sunrise safari. The previous week I had seen the first wild gibbon I had seen in years in Khao Sok, so seeing these 3 together was a real treat! The mornings are definitely the best time in the lake because you get to see wildlife waking up and in their natural habitat. It’s the coolest time of the day, so good for us too 🙂 We also saw a few hornbills, Khao Sok is full of these but that doesn’t make it less exciting when you see them. This season Green Andaman Travel is looking forward to getting back to Khao Sok and the beautiful lake. The season kicked off with a couple of diving trips to the lake at the beginning of October; this will be a new trip for us combing land and diving activities in the one tour, adding to our long list of Khao Sok day tours and overnight excursions. 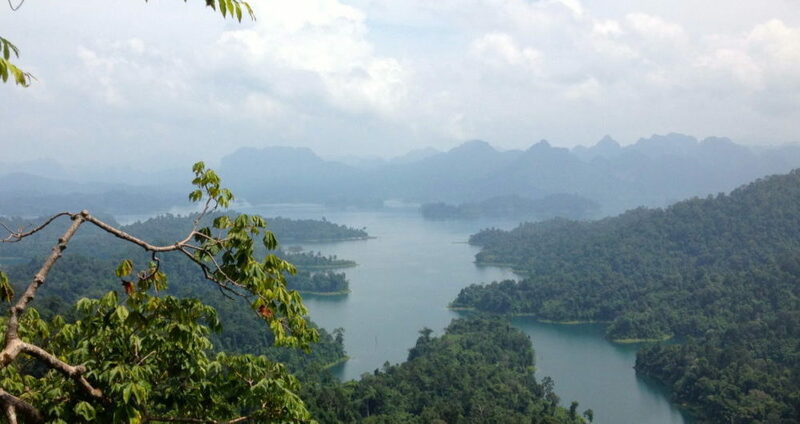 The 2012-2013 season is looking good and we’re excited to get going and show people beautiful, magical, mystical Khao Sok.